Accessing disaster loans can help a business to continue operating after catastrophic events. Disaster loans help to repair or replace real estate, personal property, machinery/ equipment, inventory and business assets. If you have learned anything as a business owner, it’s to prepare, prepare, prepare. Preparation is key. Having the right resources and systems in place to help your business stay afloat after an environmental or man-made catastropy is crucial to business success. Finding a low cost disaster loan option for your business is key. 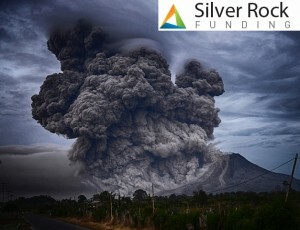 Silver Rock Funding helps to match you with the disaster loans that you need in just 24 hours. Physical and economic damage caused by a declared disaster in your community could lead to the demise of your business. Request: Complete your free and simple disaster loan application online. It requires minimal documentation. Get approved: approval typically takes 24 hours, we provide low-interest disaster loans to businesses of all sizes. Receive funding: You could receive a deposit of up to $500,000 in just 3 days (it’s happened sooner!) in order to cover the expenses related to the an event. Getting disaster loan for your business is simple. Emergency business loans for Restaurants can help cover any expenses even the simple daily costs around your business. Car dealerships might face emergency expenses if they need to suddenly resupply inventory. Do you bring in at least $10,000 monthly? Have you been in business more than 3 months? You should complete the free application on our website today! You could receive up to $500,000 in your bank account within 72 hours. Previous Post: How Do I Get a Business Loan for My Established Business?